This is a job no one looks forward to, not ever. Lifting a manhole cover, the tech who drew the short straw looks down the pump well. A sludgy mire and a terrible stench hit hard. A submersible sewage pump is clogged, and the maintenance engineer is hesitating while he considers possible causes. Placing this nauseating situation on rewind, let's discuss some likely clogging causes before we progress any further. A chain is used to raise the pump when it requires maintenance or repair. Imagine this hypothetical situation. A sewage volute, attached to an electric motor, is functioning correctly. Later, the temperature drops. The night isn't cold enough to freeze the sludge, but it's just cool enough to allow the oils and fats in the sewage to harden. The muck congeals and becomes a wax-like plug, which clogs a submersible sewage pump. Great masses of hair and soap create sizeable clogs. They're tied into large lumps by soap scum and other flushed bits of bathroom detritus. Toilet paper isn't so much of a problem, not unless it's used excessively. Unfortunately, some bathroom visitors don't spare a second thought for the equipment they're using. Disposable baby wipes are a major problem now, as are used diapers. That's often because those paper and plastic-based waste products won't break down as advertised on a flashy advertising label. Not built to process undigested chunks of paper waste, clogs bedevil submersible sewage pumps when those solids approach. To combat such issues, system designers install metal panels and filtration units. They cover culvert walls and drainage apertures, thus preventing solids from reaching the pumping equipment. Indeed, some sewage pumps incorporate their own grinding elements, which chew up solid waste and make the stream more manageable. If this component fails, a clog could develop within arm’s reach of the pump rotor and stator. When this happens, severe suction loss problems occur. Dry running pump vanes are susceptible to coil burnout complications, so a standby appliance should be kept available at all times. Chemicals and drain cleaners are flushed down wastewater lines to break up soap scum and paper knots. If those chemicals are overly caustic, though, they can do more damage than good. Certain pump vane materials respond poorly to chemical attacks. 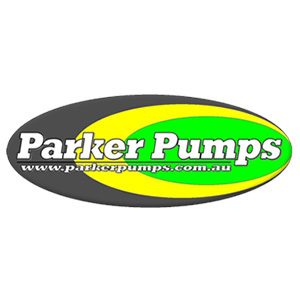 To keep submersible sewage pumps performing at their best, they require maintenance. On opening an access plate, the mounting assembly should present itself. A maintenance technician will see the chain or other equipment suspension system, raise the appliance to the surface, and inspect it for damage and/or clogging.